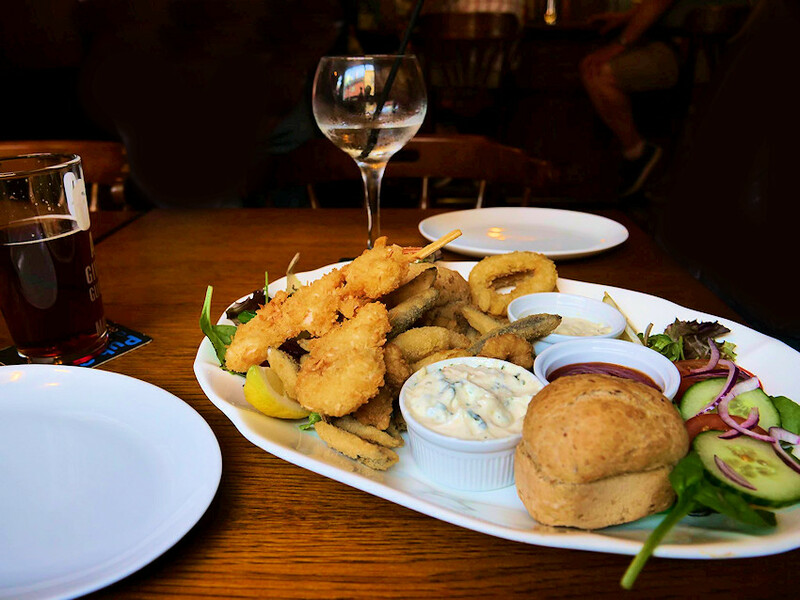 The Hanover Inn is a 300 year old, Traditional English Public House offering an informal and friendly atmosphere in the heart of historic Old Harwich. We’re open all day, every day, from midday to late! and have been awarded a Certificate of Excellence from Trip Advisor! Our kitchen is open at lunchtimes & evenings every day (apart from Tuesdays), for great quality, honest pub grub! vegetarian choices as well as grills cooked just the way you like them! Join us for our legendary Sunday Roast..
We can also cater for buffets and groups in our Function Room, please contact us for pricing or to book your group. 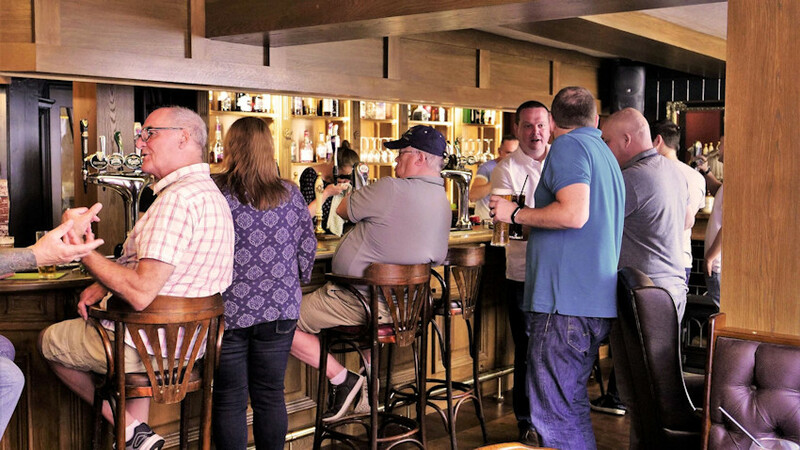 The Hanover Inn is a Freehouse offering real ales from small & microbreweries as well as real cider and Exceptionally Good Pub Grub. We offer a discount to CAMRA members with a valid membership card (occasional exceptions may apply). We are proud to have achieved Camra awards for both Beer and Cider and have been awarded a Certificate of Excellence from Trip Advisor! 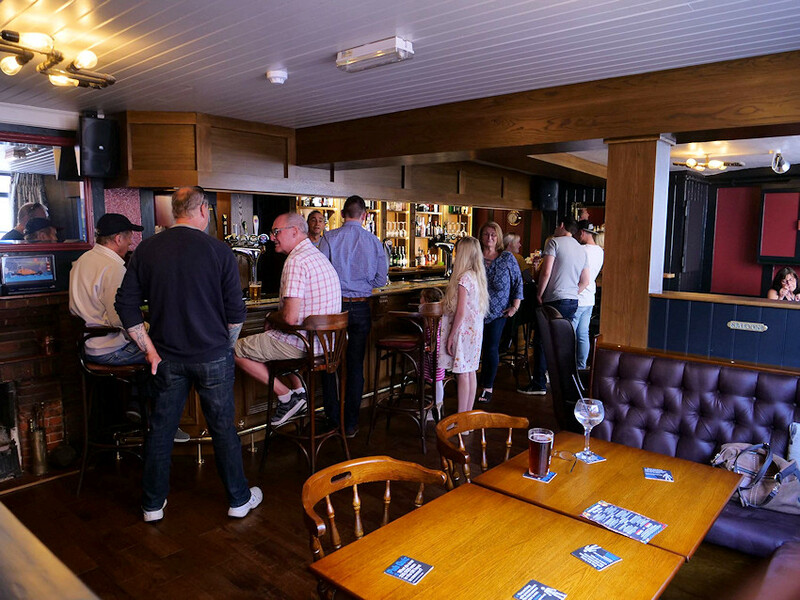 We have completely refurbished our Main Bar area, Restaurant and Kitchen Facilities. 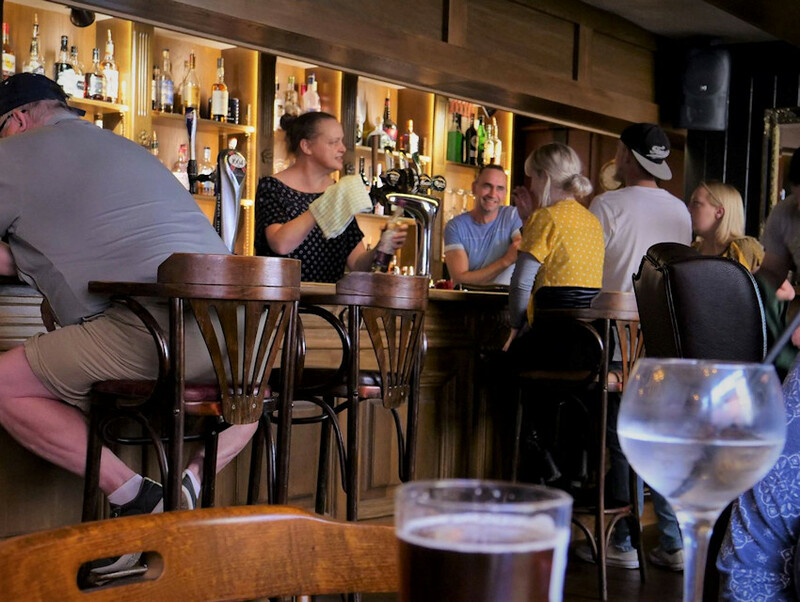 The refurbishments include luxuriously comfortable new seating and layout and a brand new kitchen, all designed to allow us to provide an even better experience for our customers. We welcome you to come and enjoy The NEW Hanover Inn! Our kitchen is open at lunchtimes & evenings every day apart from Tuesdays, for steaks, seafood, home-made soups, sandwiches, salads and good honest pub grub! Our menu includes fish, seafood, vegetarian choices as well as steaks and grills cooked to your preference! A choice of Roast Meats: Beef, Lamb or Chicken served with Cauliflower Cheese, three types of veg, large Yorkshire pudding, real gravy made from stock, stuffing and roast potatoes. The Hanover is a 300 year old public house in a narrow medieval street in an ancient seaport. We’re at the end of the Essex Way and very, very close to Harwich Town Railway station at the end of the Mayflower Line. The harbour area is very popular with visitors who particularly enjoy the beautiful scenery along the Stour and Orwell. There are many footpaths and cycle tracks along the riversides and birdwatchers are well catered for with feeding waders on extensive mudflats on both rivers and three reserves within easy reach. Harwich is also at the end of the Essex Way, which finishes just a few metres from The Hanover Inn. If you’re planning a walking group into Harwich then The Hanover is the perfect stop for your lunch or afternoon buffet. Please contact us, our menu and is flexible and we can accommodate medium to large groups. We are located next to Harwich Town Railway Station and Harwich Bus Station for onward travel. We can also cater for particular dietary needs. We can also cater for buffets and groups, please contact us for pricing or to book your group. The Hanover is believed to have been built during the reign of George I as accommodation and included stabling for horses. It was known as dining rooms and an inn in the 1850s, becoming licensed for ale and cider at the same time. In more recent times the Hanover was acquired by the mighty Cobbold Empire and became a Tolly Cobbold pub when the Ipswich brewers merged in 1957. Around this time the Hanover became fully licensed so it could serve wines and spirits in addition to beer. Please contact us for any special requirements, groups, buffets or other enquiries. Our kitchen is open at lunchtimes & evenings every day apart from Tuesdays. We are now open after refurbishing the main bar, restaurant, and kitchen areas. We look forward to welcoming you to the New Hanover Inn.